A place for players. 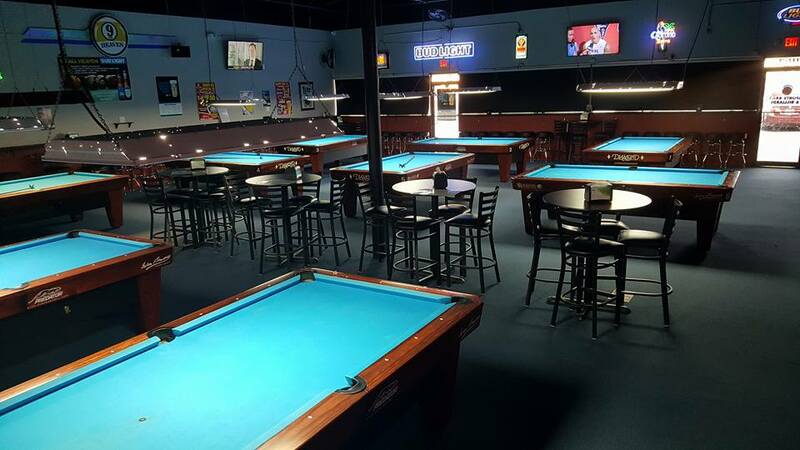 9 Ball Heaven is Jacksonville's newest upscale non-smoking Sports Bar and Billiard Hall. Boasting 16 brand new Diamond pool tables (8x 9FT and 8x 8FT) along with electronic darts, the latest Golden Tee, and Silver Strike Bowling. Combined with 10+ HDTVs and 1 100inch Projection Screen, this is the place to be to shoot pool, and watch your favorite sporting events. Order some food from our high class kitchen and feel right at home. From famous Wings, Burgers and Salads, right on down to our Award Wining Seafood Gumbo, Executive Chef Neil Harkness and crew will be glad to not only meet the demand of your taste buds and cravings, they will absolutely blow you away with their quality and taste! We have regular pool and poker league play most every night of the week, along with weekly pool tournaments and sporting event specials. Whatever it is that makes our players happy, we are glad to accommodate to the best of our ability. Our house is your house and we welcome you with open arms. 9 Ball Heaven, where the players play!